Form Fill Seal, F.F.S. 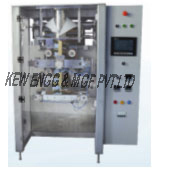 Manufacturer | KEW ENGG. & MFG. PVT. LTD.
We have been manufacturing Form Fill Seal for leading industries.